Will Fritz was Captain of the Robbery & Homicide Division. He was regarded as a legend. 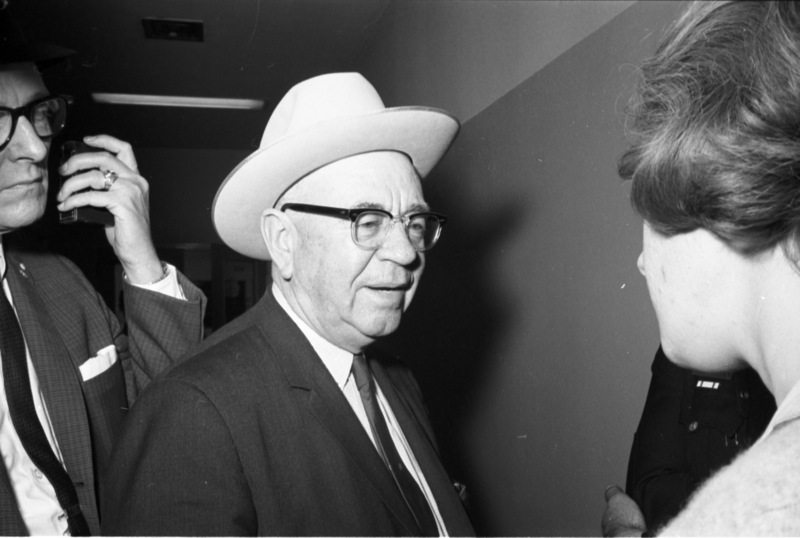 Born on June 15, 1895, in Dublin, Texas, Fritz grew up near Lake Arthur, New Mexico, where the family traded mules and horses. After serving in the Army in World War I, Fritz sold three horses to pay for tuition and enrolled at Tarleton State College in Stephenville, Texas. In 1921 he joined the Dallas Police as a patrolman, moving up to detective and eventually becoming Captain of Robbery and Homicide. Have a look at the Dallas Morning News article from 1945. Heroic stuff! According to some he developed a reputation as an excellent interrogator. In a 10-year period, the Dallas Police cleared 98 percent of its homicide cases. This number by itself is questionable since it has been proven that when it comes to miscarriages of justice, Texas held the record with 10 times the national average! According to the Warren Report (which spends a total of about one page (!) 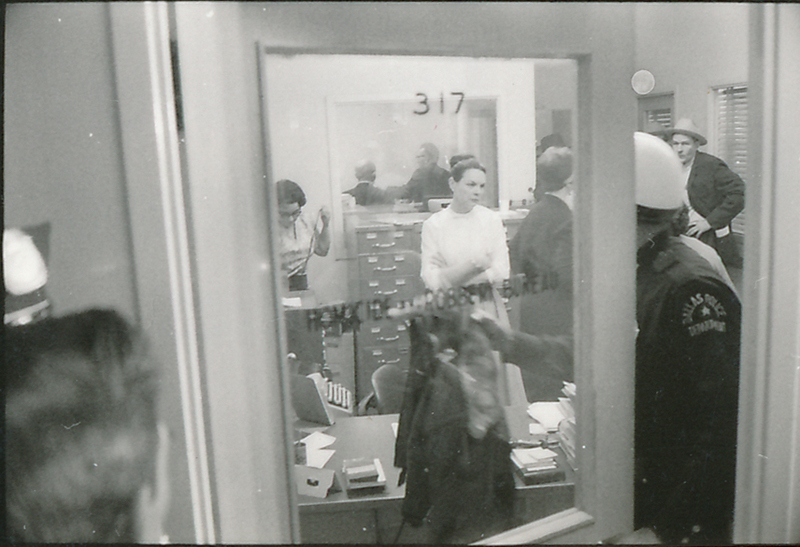 on this particular subject) the interrogations with Oswald lasted approximately 12 hours from Friday the 22nd in the afternoon until Sunday morning the 24th of November 1963 this is of a period of over 43 hours while Oswald was under arrest. 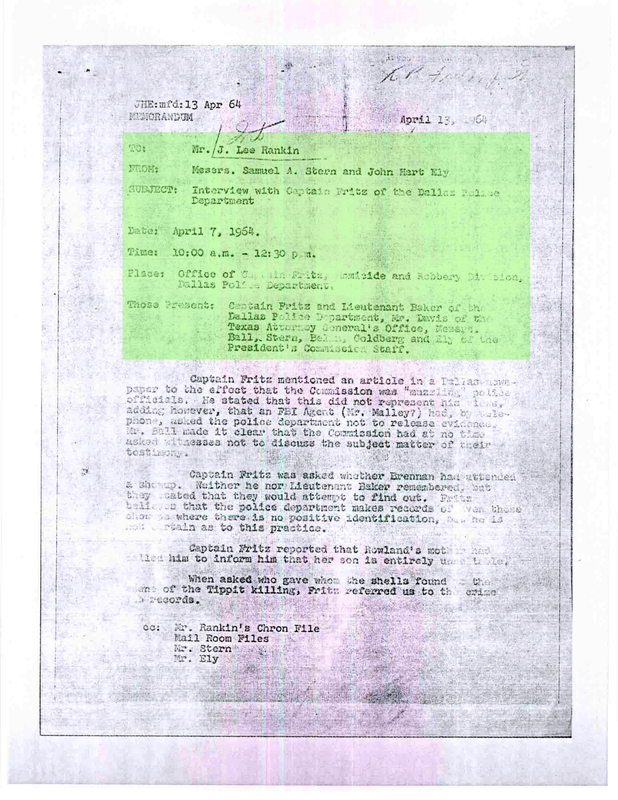 The Warren Commission conceded that no stenographic records were made , Fritz’s office had typists in there on that day yet none were assigned to do the honours of recording Oswald’s 12 hours of testimony. An alleged killer of The President of the U.S.A. and a possible cop killer to boot and there was no record made no audio was recorded either. Not for one second did it occur to Captain Will Fritz to ask any of the dozens of journalists hanging around in his corridor to borrow one……………there were many journalists, TV cameramen and photographers around. 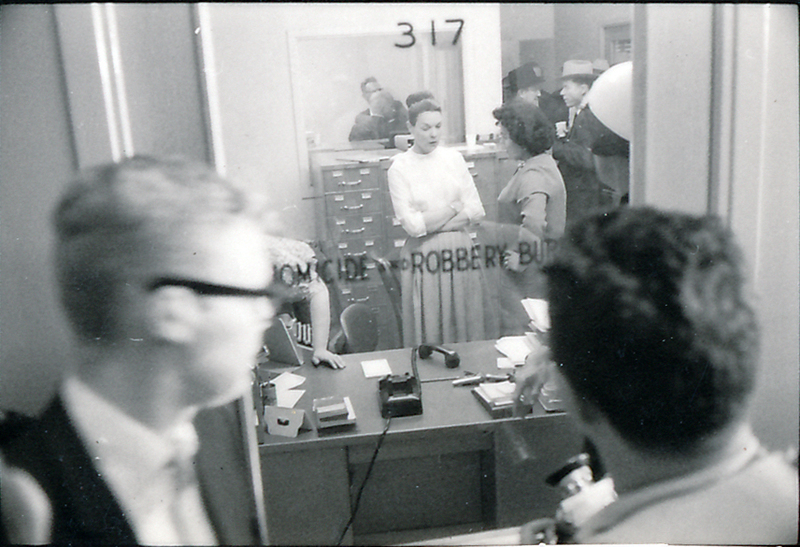 Inside Robbery and Homicide Bureau. 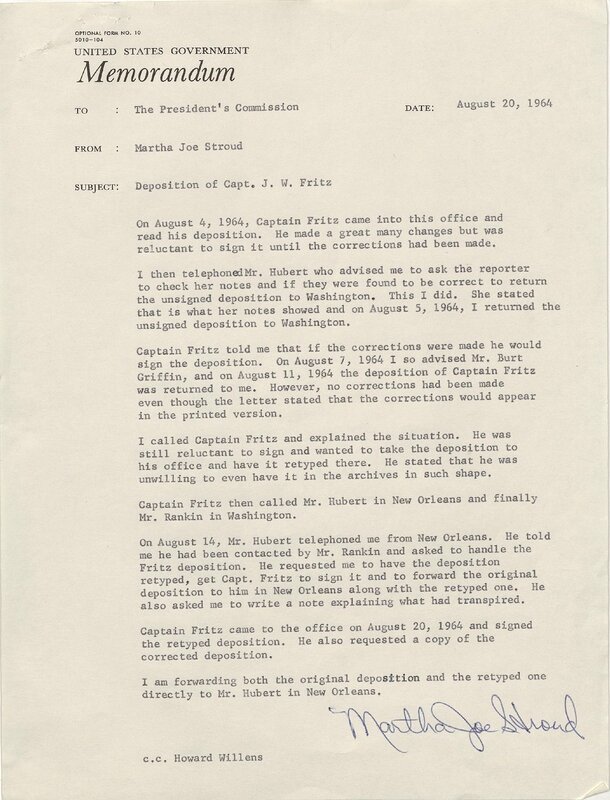 The commission further stated that Fritz kept no notes, it doesn’t say that he did not take or made any notes. Fritz delivered a 13 page report instead. 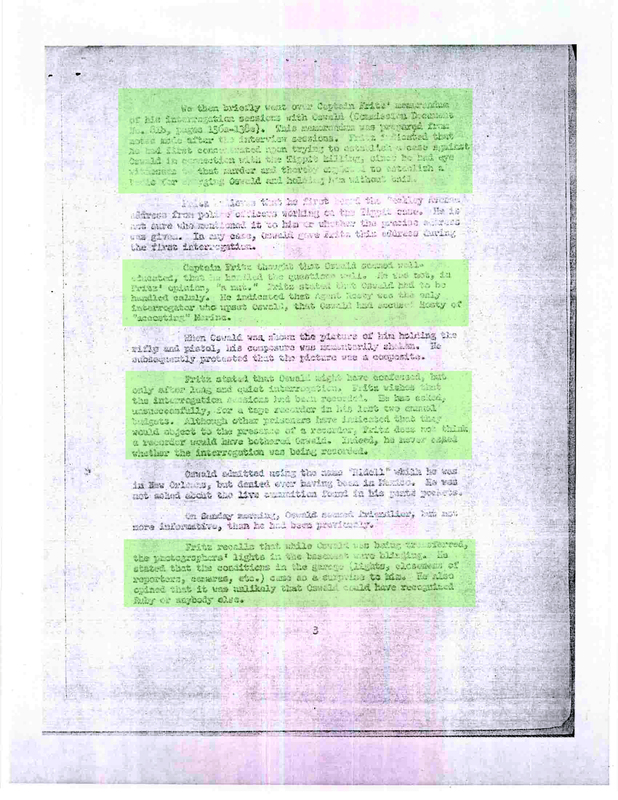 Some of these pages of this report are in the gallery below. Two of these pages contain (the whole document can be viewed at the very bottom of THIS PAGE box 1 folder 15) and in these two a few nuggets appear. “I asked him which floor he worked on and he said usually the second floor, but sometimes his work took him to all the different floors” Oswald worked on the first floor, not the second! 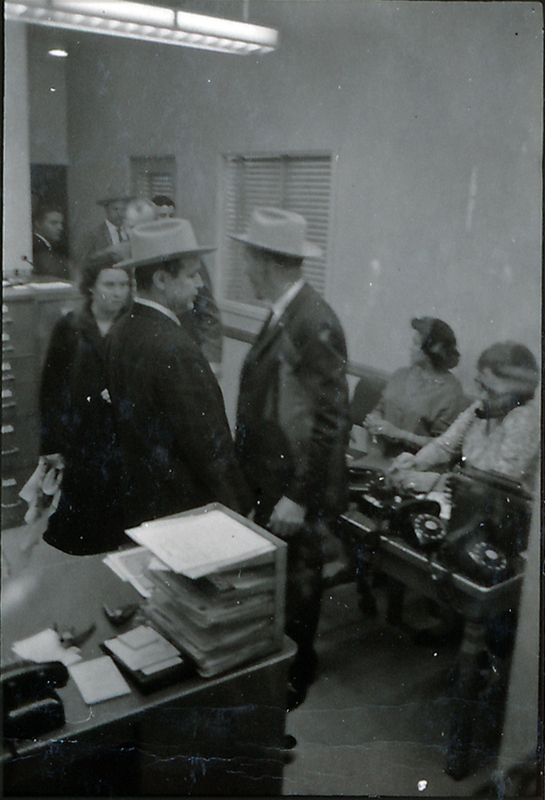 Will Fritz facing the reporters outside his robbery and homicide bureau. Pic. 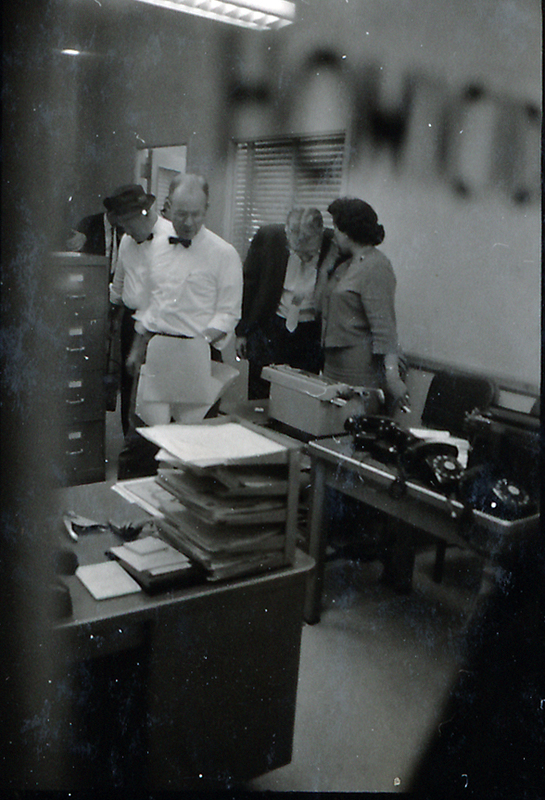 : Jim Murray From the Richard E. Sprague Collection at NARA. 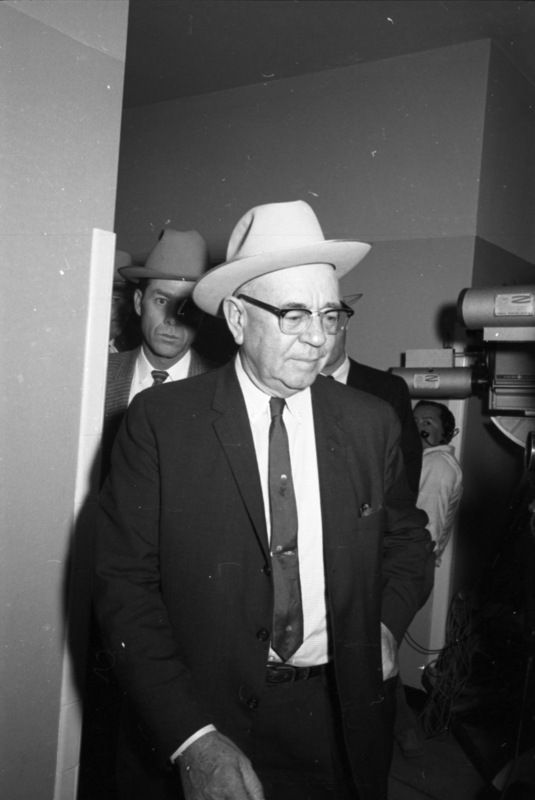 During Fritz’s Warren Commission testimony the subject of his notes and possible audio recording is brought up. 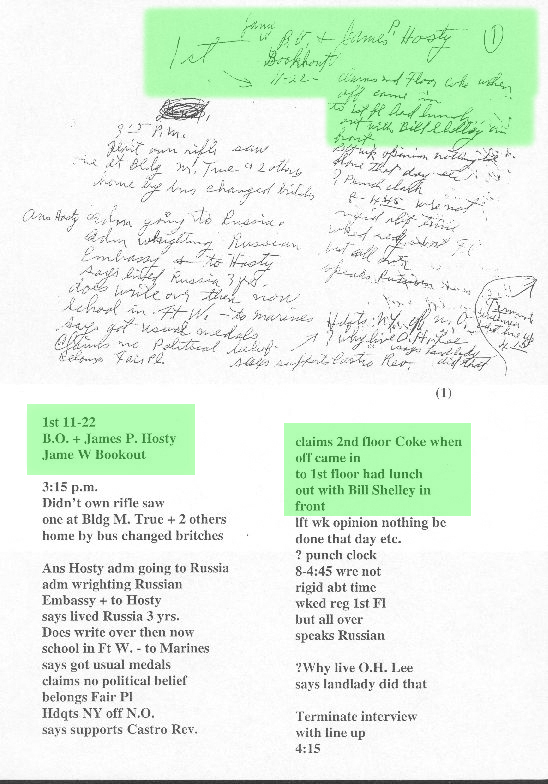 Note especially Fritz’s language, “I kept no notes at the time”. Elsewhere Fritz will testify he kept only rough notes. This is referred to in the report. 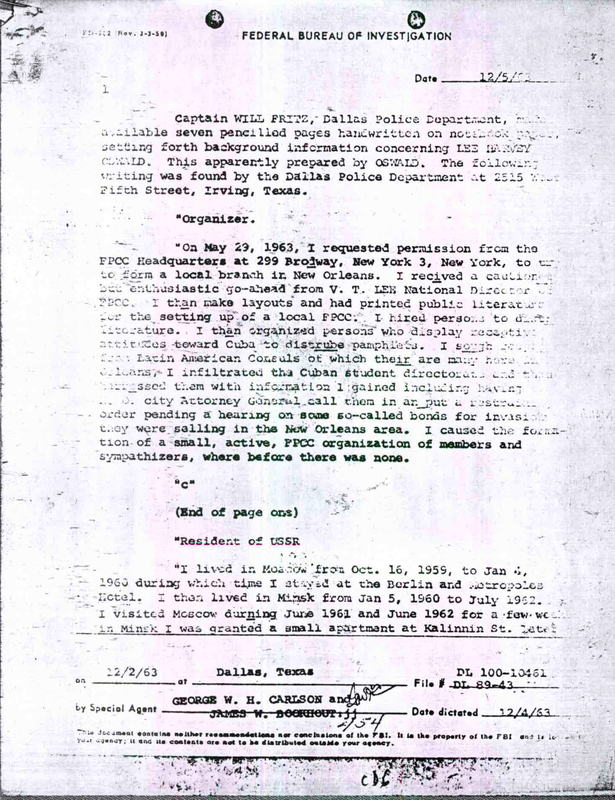 The report also includes the statements of others participating in the interrogation that Oswald called to Fritz’s attention that Fritz was taking notes. 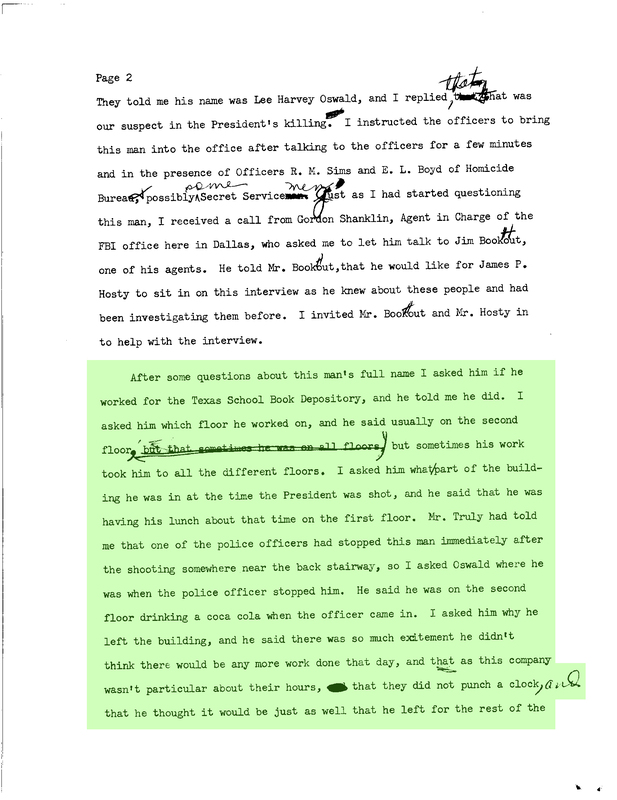 In any event, Fritz is not asked why he did not take notes, why he did not have a transcript made, why he did not tape the entire proceedings, all of which are certainly normal police practices. And even if they were not, the assassination of a president is anything but a normal event, and under these circumstances there could be no possible excuse for the total absence of a transcript of some nature. 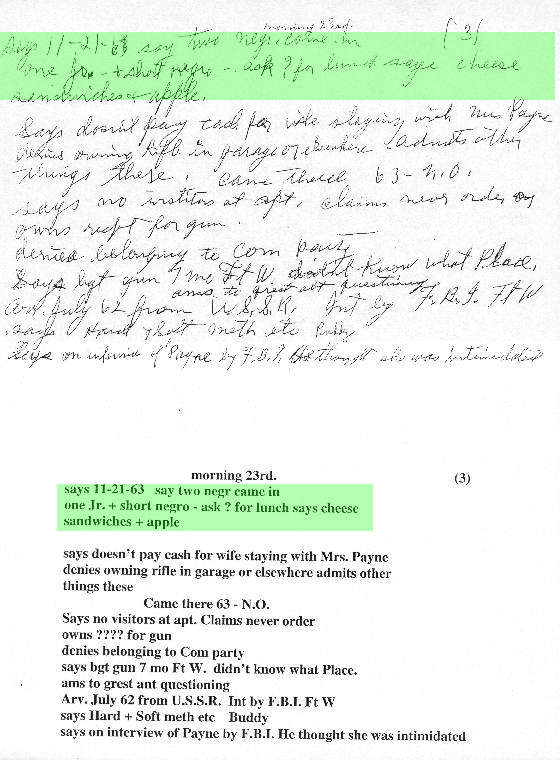 Fritz interrogation notes Lee Harvey Oswald, courtesy of Clint Bradford. Harold Weisberg tears Will Fritz a new one in this essay. In a news release dated November 20, 1997, the ARRB announced that an anonymous donor had donated Captain Fritz’s handwritten interrogation notes to the board. More than 30 years later! I contacted Doug Horne if he had any idea as to how the notes came into the ARRB’s possession but he had no idea whatsoever. 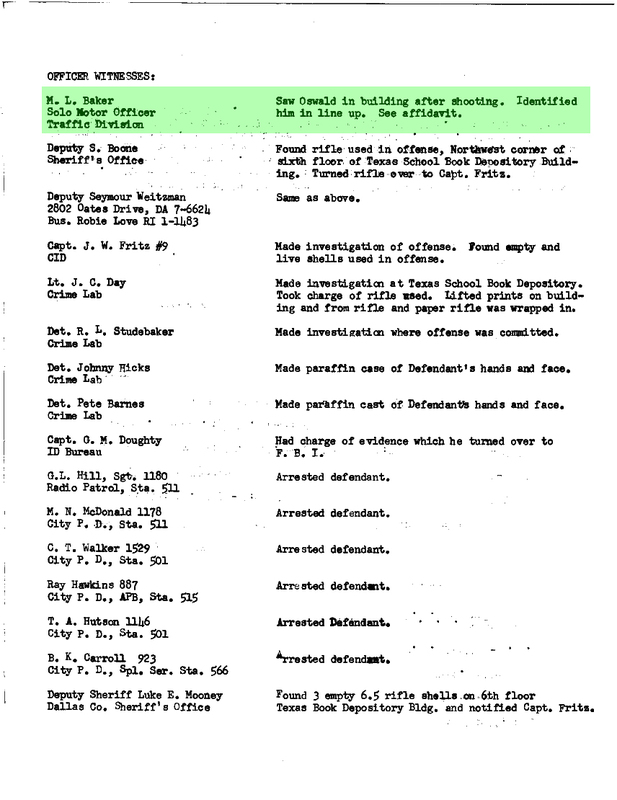 It could not be more specific as to where he was when the shots rang out, but even the more telling he knew where Bill Shelley was. This ‘trick’ he manages to repeat when he mentions Harold Norman and James Jarman, who had gone back in and grabbed their lunches from the Domino Room and went upstairs to the fifth floor. There are several conspicuous reasons for the total lack of a transcript, and perhaps they bear on the reason no questions have been asked about the lack of a transcript. 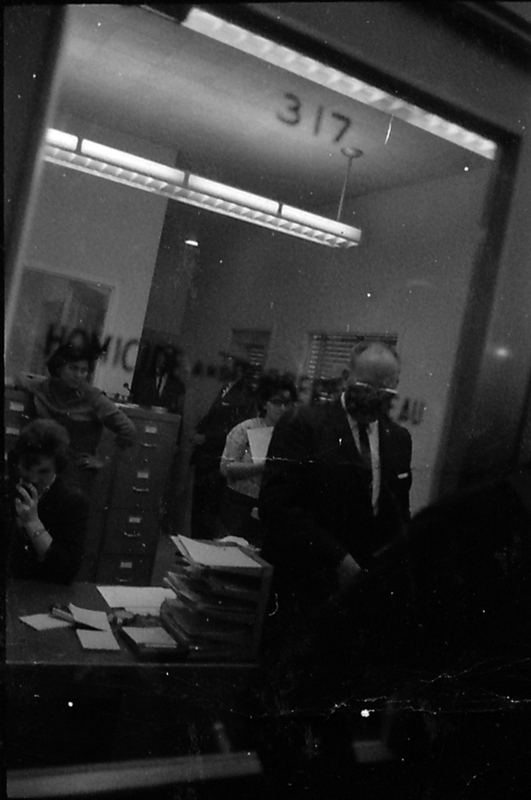 Fritz squirms his way through his Warren Commission testimony once Oswald’s whereabouts during the assassination are brought up. Mr. BALL. Did you ask him what happened that day; where he had been? Mr. BALL. What did he say? Mr. BALL. Did you question Oswald about that? Mr. FRITZ. Yes, sir; I asked him about that and he knew that the officer stopped him all right. Mr. BALL. Did you ask him what he was doing in the lunchroom? Mr. FRITZ. He said he was having his lunch. He had a cheese sandwich and a Coca-Cola. Mr. Ball. with reference to where he as at the time the President was shot, did he tell you what floor of the building he was on? Mr. Fritz. I feel sure that he told me he was on the second floor. Mr. Ball. Look at 136B. Mr. Fritz. All right, sir. Mr. Ball. The second paragraph down, 136B. yes, Sir. Will Fritz in the corridors of the DPD being interviewed. 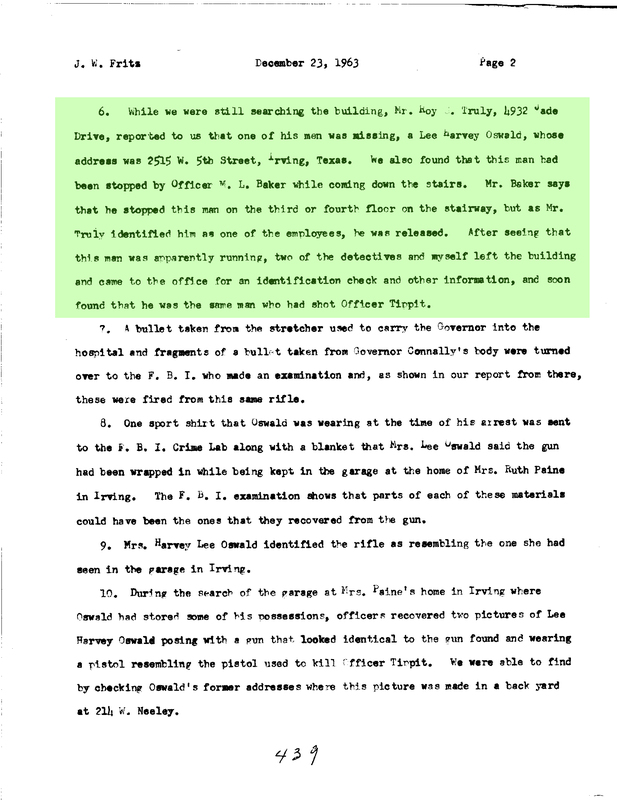 Fritz claimed in his report that Marrion Baker had recognised Oswald in a line-up, no such thing ever happened. 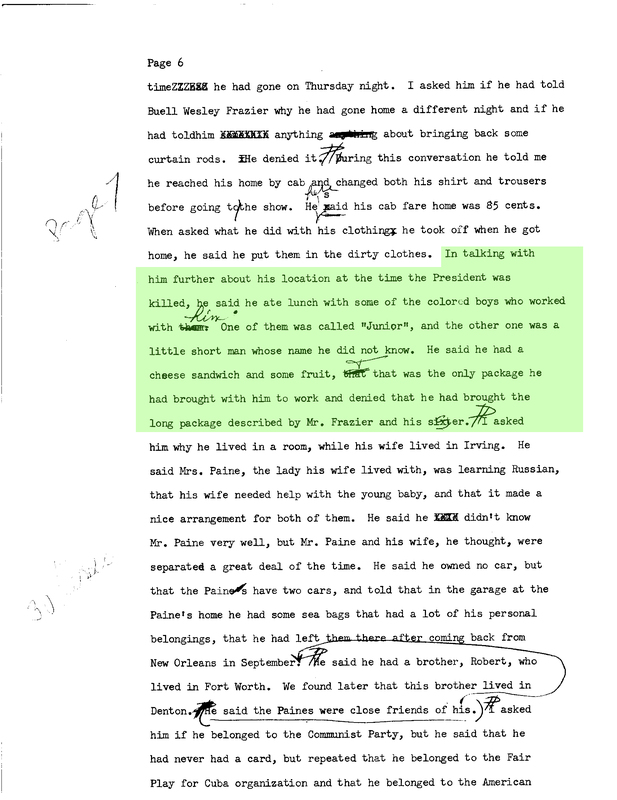 Will Fritz in a Martha Joe Stroud document from Robin Unger’s website. Fort Worth Star Telegram Nov 18 1972. Thanks to Denis Morissette. 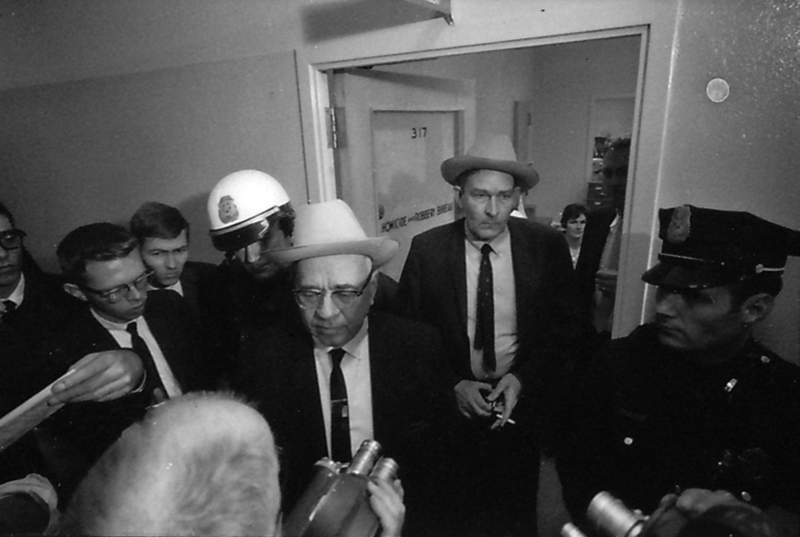 Will Fritz on the far left while Jack Ruby ‘finishes the job’. Here is Will Fritz along with Bill Alexander, during a different case on recent released KXAS footage by the Uni Of North Texas. 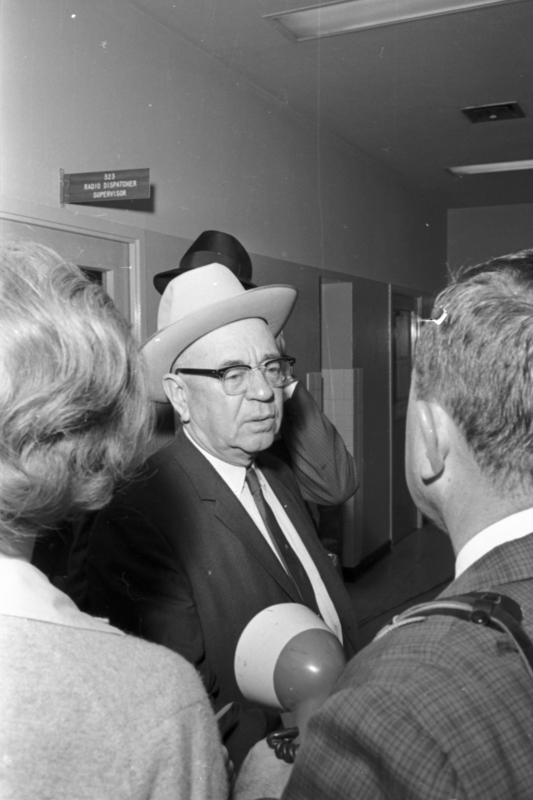 [News Clip: Grand jury] on The Portal to Texas History.